Ever wish you were a 90-foot-tall robot, beating the snot out of other huge robots in a futuristic mega-sport? Sure you have. We all have, and this is your chance - One Must Fall: Battlegrounds puts you in control of enormous robots, letting you fight to become a champion in the greatest spectator sport of all time. The "side-view" fighting games of the past have worn thin, so we went back to the drawing board to create a new experience. Battlegrounds features an over-the-shoulder view of your fighter, which allows true 3D movement in the game environment. This also makes matches with more than 2 fighters possible - imagine competing with all your friends, simultaneously, in a huge arena. Now that's a fighting game! You might be wondering about the differences between Battlegrounds and OMF:2097. There are several. The most significant difference is that Battlegrounds is a full-3D game. What do is meant by "full-3D"? This is a term that makes more sense if you're aware of the history of fighting games. The classic fighting games - Street Fighter, Mortal Kombat, Killer Instinct - all showed their characters using a two-dimensional "side view". Movement in the environment was basically restricted to forward and backward. Some later games featured a 3D environment, but with restricted movement - it was like playing a side-view game pretending to be 3D. However, Battlegrounds is different. The camera looks over the shoulder of your robot, and you can run, jump, attack, and move in any direction. There's an interesting benefit that comes from a game being full-3D: multiplayer battles. It's easy to have an 8-player brawl, or a 3-on-3 team-based fight. There's nothing like the rush you'll get from fighting off two opponents at once, or delivering a devastating sneak attack to somebody whose attention is directed elsewhere. Multiplayer matches present a lot of challenges to programmers, so the developers had to make a compromise when developing Battlegrounds. Specifically: the "tournament mode" from OMF:2097 will not be in the initial release of Battlegrounds. However, this doesn't mean you can't enter tournaments - this will still be a big part of the game, with servers hosting invitational tournaments with various rules and entry conditions. The main difference is that you won't be able to purchase upgrades for your robot, or train your pilot. 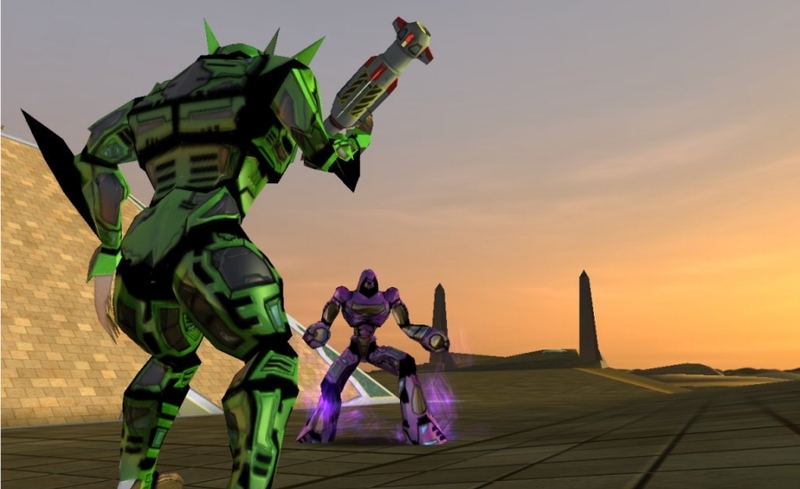 Don't fret though - a full-blown, RPG-style tournament mode, surpassing the one in OMF:2097, is a strong candidate for an expansion pack or sequel to Battlegrounds. Since there wasn’t an engine available to us, we had to develop our own. We wanted an engine that was friendly to mod-makers, easy to upgrade, and on the cutting edge of technology. We think we've managed to create one. The engine supports the OpenGL and DirectX graphics API's. A hardware accelerator is required (there is no software mode). It also uses DirectX for 3D-sound, music, and input. Platform-specific code has been isolated to make it easier to port to other platforms. Rendering, sound/music, network, and input services are in seperate DLL's, allowing them to be upgraded without changing the core. The renderer boasts many features, including multi-texturing, dynamic lighting, reflections, and shadows. A lot of work has gone into the animation system. The hierarchical animation system allows you to re-use one animation with several models and get correct results. 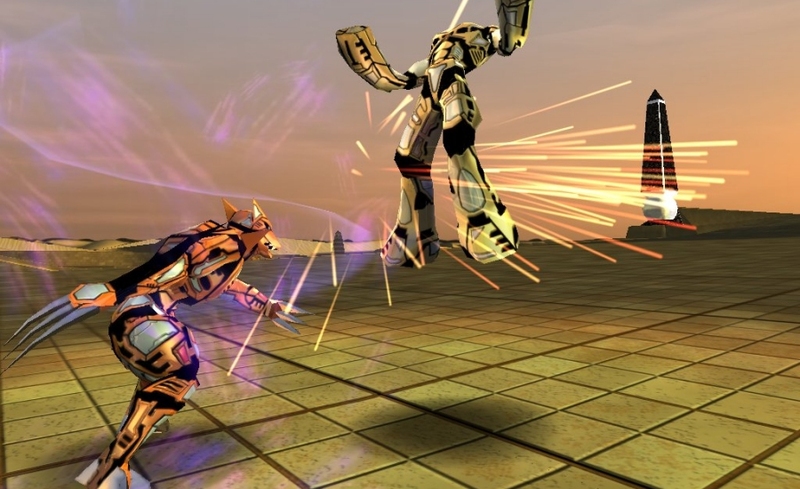 The Engine also has special runtime smoothing algorithms that produce higher-quality animation than most games. 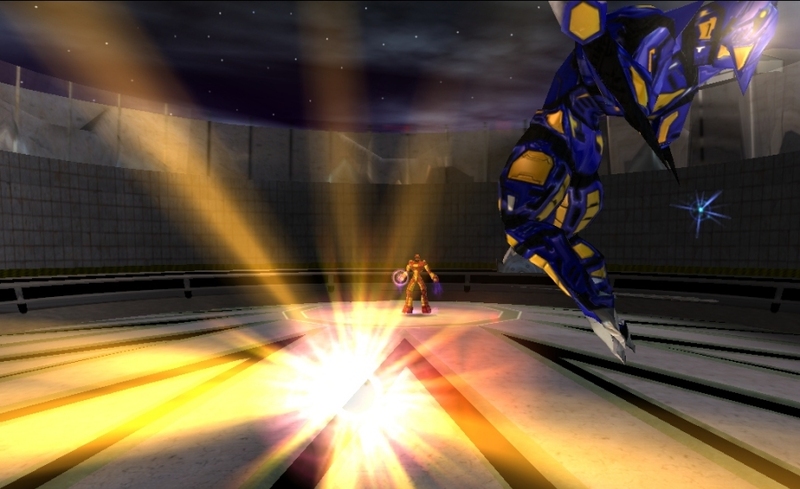 Since the game is built for many players and large arenas, meshes are scaleable (different versions are stored for different distances or detail levels). This eliminates fog and prevents objects from "popping in" as the player comes within a certain distance. 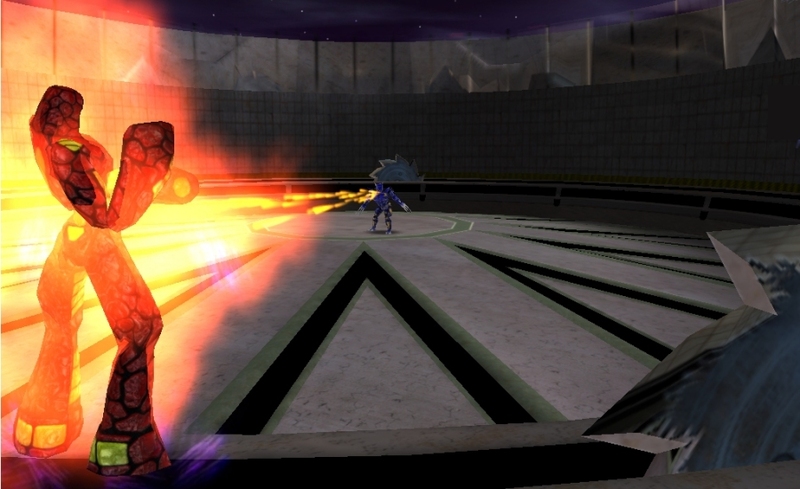 The engine also includes a versatile particle system used in effects such as explosions, smoke, fire, fog, lens-flare, and projectiles. Through the use of a 3DStudio MAX plugin, developers can create geometry in MAX and import it into the game's editor. This allows developers to use all the capabilities of MAX to create content. Diversions also created some helpful plugins. There's DE_Unraveler, which lets you select faces and creates a 2D map for their UV co-ordinates. This eliminates the process of "puzzle-piecing" UV co-ordinates from scratch. There's also DE_Autorenderer, which lets you create an extremely detailed high-polygon-count model (tens of thousands of polys) and then directly transfer the details and colouring of that mesh onto a model of any lower polygon count. This allows you to use cinematic models as mapping templates for your in-game models. The scripting language has its roots in Java, but is extended to handle states, time, networking, and other important aspects of the game. It's so versatile that you can create completely new games in a script. You also have the option of adding objects driven by C++ if you need the extra speed or power. To play the game at low detail settings, you will need a 300Mhz CPU, 64MB of RAM, and a 3D accelerator (equivalent to or better than a TNT1). Of course, a faster system and more memory are required to run the game in high detail. There are 8 arenas planned: City, Blade Pit, Desert, Power Plant, Iceberg, Volcano, Space Station, and Canyon. 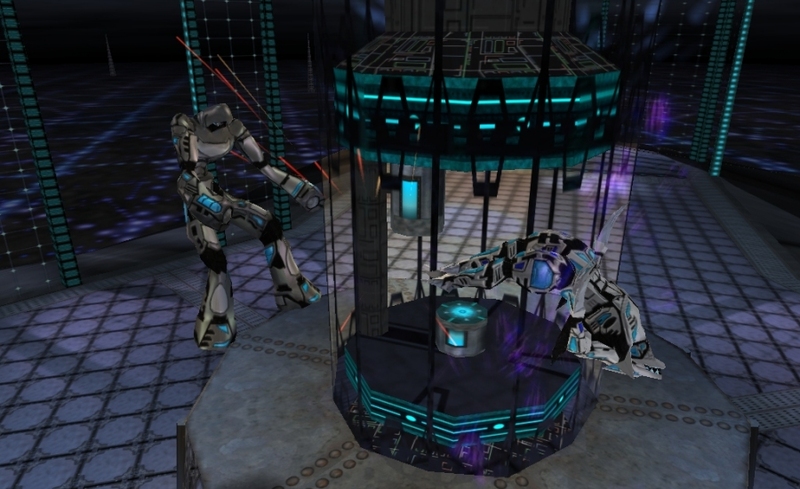 There are 8 robots planned: Jaguar, Force, Pyros, Mantis, Chronos, Gargoyle, Katana, and Warlord. You can also add your own robots to the game. Each robot will have several paint jobs (called "skins" in some other games). Once you have selected a paint job, you select the three colors to be used in the paint job. So the same paint job could be selected by several players or teams, and look completely different on each. You can select from 30+ premade pilot photos, or import your own graphic. You can also customise your pilot's four statistics (agility, strength, endurance, and focus). Robots are controlled using four directional buttons, along with 6 "action" buttons: Left Punch, Right Punch, Left Kick, Right Kick, Evade, and Jump. Super moves are performed through simple sequences of directions and action buttons. Some of these sequences will be better suited to joystick control, and others will be suited to the keyboard. Battlegrounds will feature GameSpy™ technology, so you can locate and join a server just like Quake or Half-Life. There is also an internal server browser. For those new to internet gaming, the procedure is simple and gives you the power to choose the servers with the best performance. 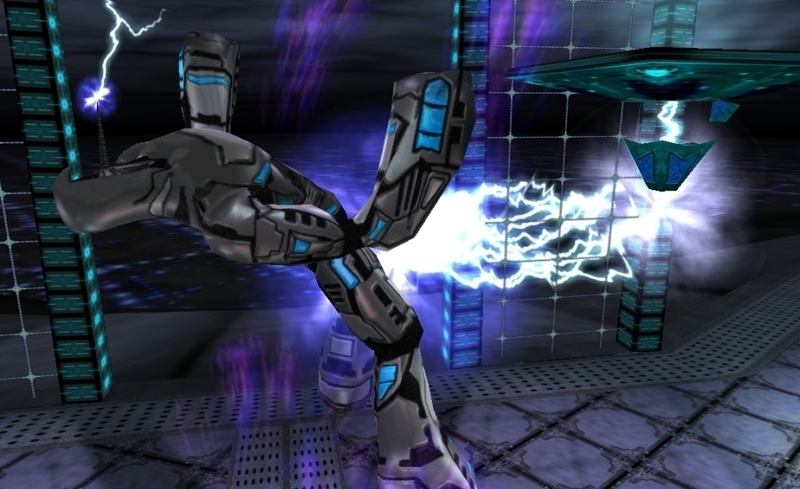 There is built-in support for "mods", which affect gameplay by changing rules, adding powerups, and other similar effects. Battlegrounds includes a single-player mode where the player fights through a variety of tournaments to become champion. 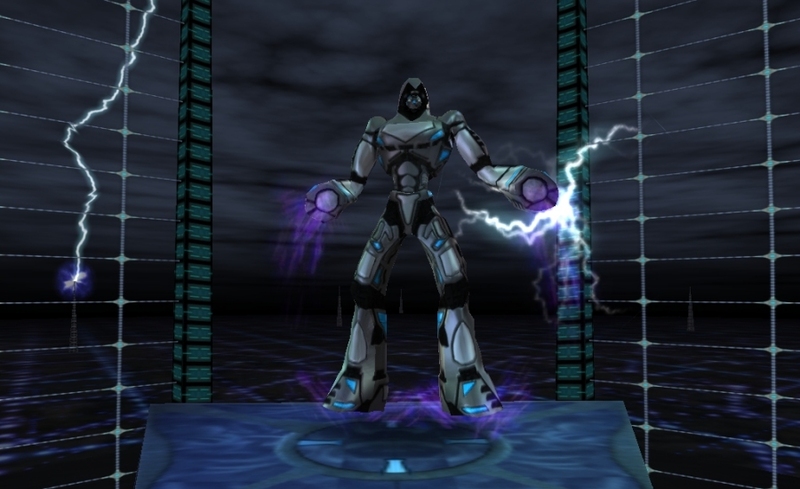 Each tournament will feature unique gameplay challenges and AI opponents.You cannot upgrade your robot between matches. Each match begins with everyone in a fully-repaired "stock" robot. 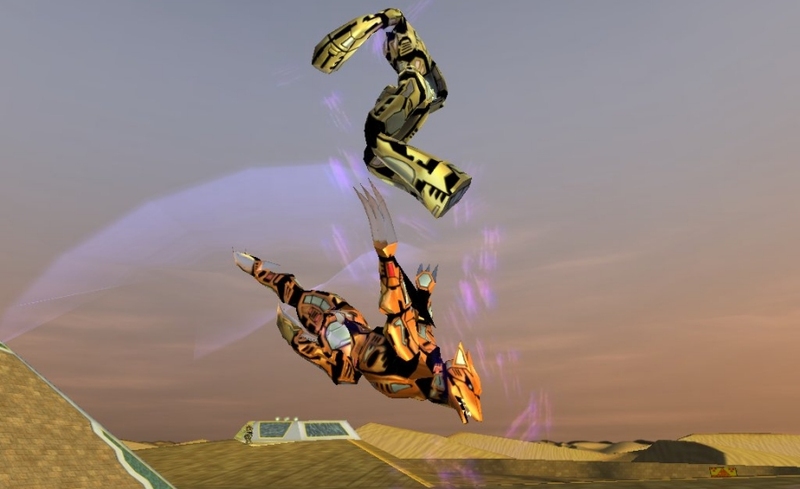 However, during a match you can use powerups to add abilities or weapons to your robot. Q : Will there be Matrix-style slow motion when players use special moves? A: No. Because a match can involve more than 2 players, there is no way to incorporate slow-motion effects without disrupting the game for other players. The game is originally scheduled for the PC platform with other platforms in mind. Dirvesions hasn't found a publisher yet so we can't really tell if the games ever gonna ship, here's hoping it does.